The names used to describe forex broker account types available to a trader vary among the many different online brokers, although most of them will offer a variation on certain basic themes to their clients. Since different account types may be aimed at benefitting certain trader types — as well as the size of the account they have to trade with — it is quite important to choose the best forex broker account for the particular needs and resources of the individual trader. To check a broker out without committing any funds, a trader can usually open a brokerage account with virtual money. This is known as a demo account and it allows the trader to evaluate the brokerage firm’s services and their trading platform. In addition, the demo account allows a trader to test their trading strategy out without any commitment of funds as would be required in a live forex trading account. In fact, the forex demo account has become one of the most popular features offered by online brokerage firms. Once a trader is comfortable with using a brokerage firm they have researched and evaluated in a demo account, they can then move on to deposit funds into a live account so they can trade with real money. Online forex brokers typically offer a variety of account types when the trader is ready to commit to a funded forex trading account and these live accounts tend to fall into a few basic categories. The following sections will describe what features forex trading accounts might have and will discuss the basic types of forex trading accounts available at most of the top online forex brokers. You can easily divide the basic types of forex broker account types into two primary categories. The first category is the forex demo account, which is an account that uses virtual money so that the trader takes no monetary risk when trading. The second type is the live forex trading account, which is funded with real money and can result in actual gains and losses for the trader. These two main account types are described further below. Forex Demo Account – A forex demo account allows the trader to test their trading plan for profitability, drawdowns and other performance measures. It also allows a trader to evaluate the brokerage firm offering the account without the commitment of actual funds. Most online brokerages will let you open a demo account without any obligation by providing a minimal amount of personal information. These practice accounts often have a limit in terms of how much virtual funding is provided, as well as a time limit after which the demo account will expire and require the trader to create a new one or switch to a live account. Live Forex Trading Account – A live forex trading account can typically be funded with anywhere from $50 to whatever limit the online forex brokerage has placed on client deposits. Once the live account is opened and funded with real money, the trader can then initiate and liquidate trades in the forex market. Depending on the type of account chosen and its capitalization, the trader might be able to trade currency pairs in full lots, mini lots or micro lots. Most prudent traders will test out an online forex broker, its trading platform, execution service and other perks using a demo account first before creating a funded account if the broker’s performance turns out to be satisfactory. Different online forex brokers tend to offer different perks and services that might either be useful to a trader or not. When a trader is contemplating using a particular broker, they should go through the services offered and see whether all of the services they require are provided, and then take some time to determine whether any of the additional services offered might be useful either in the present or perhaps in the future. The following list includes some of the ways in which live forex trading accounts tend to differ both between brokers and between accounts offered by the same broker. Make sure to review a broker’s list of services thoroughly for any live account you may be considering opening to assess whether they are sufficient and appropriate for your needs. 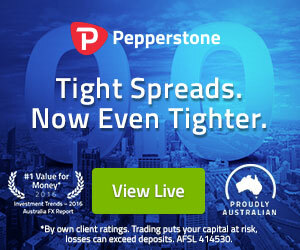 Initial Deposit Amount – The initial deposit amount is one of the key factors that online forex brokerages take into consideration when a forex trading account is opened. Most online forex brokers will offer VIP or special accounts when the initial deposit is substantial. These accounts will offer the client more services and features than the standard account, which generally requires a lower initial deposit, or a micro account that usually requires only a nominal amount to open up. 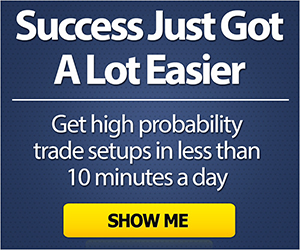 Dealing Desk Access – Access to a dealing desk can be an advantage for traders wishing to obtain directional, flow and other market advice from professional customer service dealers. The availability of this feature will depend on the type of broker and the type of account you open, with higher level accounts more likely to offer this feature. If the broker is an ECN or Electronic Communications Network broker that allows you to trade directly with the Interbank market using an electronic platform, then you will generally not get dealing desk access, although you might be able to speak to market professionals to get advice. On the other hand, if the broker is a market maker that takes the other side of your trades, they might well have a dealing desk with sales staff that you can speak to directly and deal with over the telephone. Trading Platform – An easy to use and navigate trading platform is of utmost importance to traders looking to maximize their trading speed and capacity. While most online forex brokers offer MetaTrader 4 or 5 as an option, many forex brokerages also offer their own proprietary trading platforms. The screenshot below shows a sample view of a MetaTrader 4 dealing screen that also includes charts, indicators, spot quotes for a variety of instruments and position information. Figure 1: A screenshot of the MetaTrader 4 forex dealing platform. Analytics – In addition to the many technical indicators offered on the MetaTrader trading platform, many brokers offer signal generators and other forms of analytical trading tools that can be very helpful to use when timing the initiation and liquidation of forex positions. API Access for Automated Trading – an API or Application Programming Interface enables a software program to initiate and liquidate forex trades automatically when certain pre-specified market conditions are achieved. Such automated trading programs are also called “Expert Advisors” or EAs when they run in the MetaTrader trading platform, but they can also be custom programmed to run in many other proprietary forex trading platforms using the broker’s API. This type of software is typically either available for programming by the trader or their programmer, or it comes preprogrammed as a black box from the developers that can sometimes allow a user to adjust and optimize parameters. News Services – Many funded forex accounts include access to a business newswire service, such as Reuters, which can appear as a scrolling news feed on the trading platform or somewhere else on the broker’s website. In addition, the MetaTrader trading platform includes its own market related news feed. Minimum Trade Size – Most forex brokerages have a minimum trade size which is known as the lot size and is generally expressed in units of the base currency. For example, standard lots are typically 100,000 units of the base currency, mini lots are usually 10,000 units of the base currency, and micro lots are 1,000 units of the base currency. Depending on the type of account, the minimum trade size will vary, with accounts requiring a higher initial deposit usually having a standard lot size while those with a minimal initial deposit offering micro lots as the lowest trading denomination. Micro Account – The micro account usually lets traders open the account with a minimal initial deposit like $50 to $100. In addition, the minimum trade size is usually one micro lot or 1,000 units of the base currency. These accounts can be ideal for small traders or new traders. Mini Account – The mini account requires a larger initial deposit and has a minimum trade size of one mini lot or 10,000 units of the base currency. These accounts can be a step up for beginners, or they may suit those who need more control over their trade size. Full Account– These accounts are generally for more seasoned traders and have a higher initial deposit. The full account usually has a standard minimum trading size of 100,000 units of base currency, although some might allow traders to operate in mini lots as well. VIP Account – These are the premiere accounts for experienced, high volume traders with the largest initial deposits required. Such accounts often feature access to additional analytics, a personal advisor and the tightest dealing spreads. Managed accounts generally involve some sort of external management activity separate from the trader or owner that funds them. The account types that fall into this category often require a substantial initial investment and are offered to people who do not wish to deal with the hassle of trading or trade decision making. Individual – This is a personal account that is managed by the forex broker’s staff or software. It might also follow the broker’s proprietary “black box” trading signals. This type of account uses the client’s capital, but trades are initiated and liquidated by an account manager. Typically, the investor sets their goals and parameters in this type of account. Pooled – With this type of account, money is deposited into a mutual fund with the funds of other investors, and profits are then divided among the participants. Pooled accounts can offer different risk/reward ratios, with higher returns hopefully seen for accounts with a higher risk/reward profile. Discretionary – A discretionary account involves paying an account manager a fee and/or a percentage of profits to trade the account for its owner. These accounts generally require a large initial deposit and often have restrictions on withdrawals. Social Trading Account – This account type is one of the latest innovations in forex trading. In a social trading account, a trader can selectively follow other traders with a good track record. Execution can be discretionary, where a communication is received about an expert trader’s new trade, or it can be automatic where the expert trader’s transaction is matched in currency pair and direction but can be scaled according to the owner’s wishes. Automated – This type of account allows access to an API, which is available for automating trading activities. Automated accounts can be managed, or they can use the trader’s own parameters to initiate and liquidate trades. Choosing the best forex broker account type to open will depend on a number of factors related to the trader’s experience level and how they wish to run their forex trading business. If the trader wants to implement a trading plan and test it in a demo account, then opening a demo account with a broker that could match their performance in a live account would be the ideal situation. A trader that has ample experience combined with a good size initial deposit and knows exactly what they want in a broker, trading platform and customer service features would probably opt for opening a full forex trading account after first trying the broker out with a demo account. The trader must evaluate the features offered, the trading platform, and the broker’s dealer spreads. In addition, a trader must evaluate the broker model – whether the broker is an ECN, a market maker or dealing desk and decide which model best suits their trading goals. If the potential forex trader does not want to get involved in the day to day market activities and prefers to let others work with their funds instead, then a managed or automated account would probably make the most sense. A word of caution with managed or automated funds is warranted as your capital is always at risk whether the account is being managed by a professional or is trading on an automated system. Ideally, you will want to open a brokerage account with a top forex broker. Many of the best brokerage firms offer multiple account types to choose from. Depending on the level of the initial deposit, many brokerages offer bonus incentives, such as additional capital to trade with. These bonuses are nice but not always substantial, with maybe a $100 bonus offered for an initial deposit of $5,000. With that in mind, opening an online forex trading account with a broker is very easy, especially when opening a demo account. Typically, if you have MetaTrader 4 or 5 already downloaded then that will save you time, since the great majority of online forex brokers support this platform. Once MetaTrader is downloaded, the trader can open a demo account with the broker of their choice, or they can open multiple demo accounts with more than one broker. After building confidence in the broker’s platform, pricing and dealing features using the demo account, the trader can then proceed to open a live account that will usually involve filling in an online form and providing identification required by the broker. Many seasoned traders will begin by funding the account with the minimum amount of capital to see if the broker’s live performance meets that of its demo account, as well as to see whether the broker allows order slippage or uses requotes. Testing the broker’s fund withdrawal policy can also make sense to make sure that funds are returned promptly upon request.